Meg is alone with a 12 year old in her isolated cabin during a Canadian blizzard, when three escaped prisoners land on her doorstep, one of them injured. She helps dress the wound of the injured man, but then is held hostage, along with Jid, who is like a son to her, and her puppy. This mystery is the seventh in a series, but it was the first I had read, and it is easy to follow as a stand-alone thriller. Thank you to Net Galley and Dundurn Publishers for the DRC, and my apologies in being so tardy with my review. The book has been released and is available for purchase now. Those that enjoyed The Shawshank Redemption or that are fans of Val McDermid’s mystery series will probably enjoy this story a great deal. Each of us has a threshold of tolerance for how much terror and violence they can stand in a novel before it stops being entertaining and starts to be just scary and violent. That’s what happened to me here. Roughly eighty percent of this book is set in and near Meg’s cabin, with one aborted effort at escape after another; the writer wants us to also be worried about the puppy, and she played the card well, maybe too well for me. The small moments in which interesting tidbits of Algonquin culture are released, or in which one of the escapees does some small, compassionate deed are eclipsed by the sheer weight of the isolation and brutality present, and I finally got to where I could not stand it anymore around the 65 percent mark, and I skipped to the end and traced it back. That said, I also know that my own tolerance is lower than most. I watch very little television and few movies, and so a little goes a long way where I am concerned. Harlick deserves a lot of credit for being able to spin a linear plot line with a limited setting, time span, and for most of the story with a limited number of characters. She never loses the reader’s interest or wanders off on a tangent; her facility with setting is good, and the tangibility of the place and people add to the terror experienced by the reader on behalf of the protagonist. Scary-as-hell fiction from a series writer worth following in years to come. 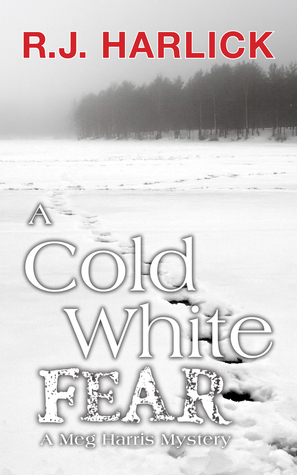 This entry was posted in mystery, thrillers and tagged A Cold White Fear review, book blogger, book review, Canadian fiction, mystery, thrillers by seattlebookmama. Bookmark the permalink.